Shall we move on to the ingredients?! Rinse the quinoa with cold water. 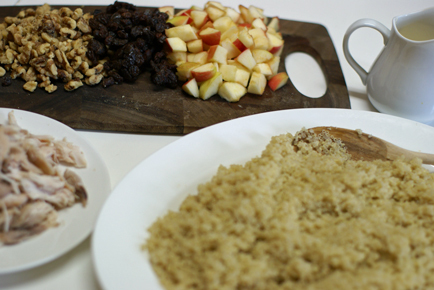 Cook the quinoa in 2 parts water: 1 part quinoa ratio. Bring water to a boil, then add quinoa and reduce heat and cover. Cook for about 15-20 minutes, or until little ring separates from the grain. Prepare dressing. Whisk all dressing ingredients in a mixing bowl. 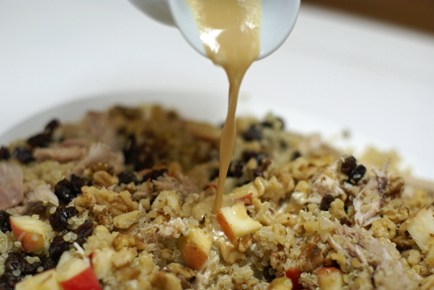 Toss together the cooked quinoa, chopped apples, walnuts, raisins and shredded chicken. Pour dressing over the top. Season with a little salt and pepper. Wash, trim and steam the green beans for a few minutes, or until bright green. 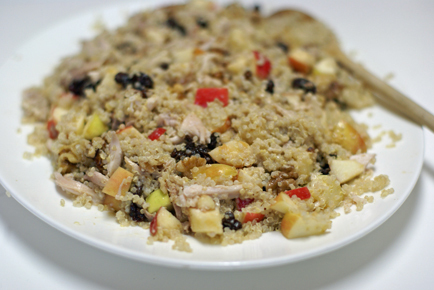 Serve Chicken and Quinoa Waldorf Salad with Creamy Maple Vinaigrette and Steamed Green Beans. This looks really delicious! I think if I made it, I would leave out the mayo b/c I can’t stand the stuff, but other than that, it’s a go! MMMM!! Sounds good, might have to try this, thanks for sharing! Perfect timing! I have leftover quinoa and couldn’t think of a creative use for it. This will be on my menu soon. Should the Quinoa be warm or chilled?? Thanks, sounds delicious! This looks so good. Will have to give it a try. Thanks for the recipe. It’s always great to see quinoa recipes. As a quasi-vegetarian, I’m always looking for protein substitutes, and as a high-fiber, high-protein ingredient, quinoa does just that. We actually wrote a related post on quinoa featuring a few other recipe ideas you might be interested in (I’ve included the link above). I just saved this, it looks wonderful! 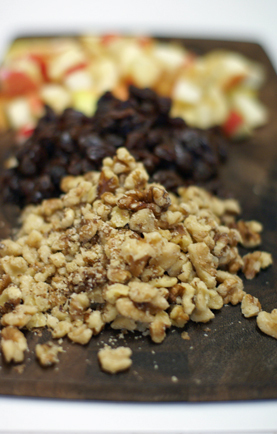 I LOVE waldorf salad and it would be great with the maple dressing! Thanks for a new, healthy idea! Oh my goodness, this was delicious! Thanks for posting this recipe. This is delicious! Thank you so much for the recipe. Oh, my, goodness. Eating this for lunch just now. Thank you SO much. Jocelyn Stott, have you ever tried replacing mayo with yogurt? Works wonders, I do it every time! It’s healthier too. This is one of my favorite new foods, so good! Thanks for the recipe! It sounds great! and it is actually $5.30. cant wait to try it! We love this salad in our family. My kids can’t have mayo so I sub vanilla yogurt. It’s delicious!